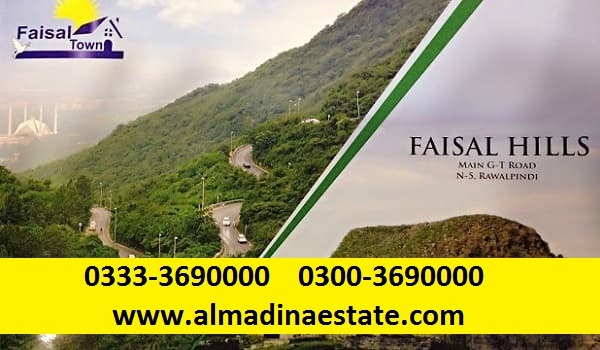 It wouldn’t be wrong to say that genuine buyers, investors, agents, and, indeed all stakeholders of Faisal Residencia and Faisal Hills have been waiting with bated breath. This is true for the former’s NOC and then development, and in the latter’s case, it was balloting and development. So, on popular demand, this blog takes a look at the current situation in both of these projects of Zedem International. In our update on Faisal Hills in March, we had mentioned that April 24th was the expected date of balloting in Faisal Hills. If you haven’t heard the news, the balloting has indeed taken place in Faisal Hills in April, after a long wait. As a result, plot numbers have been assigned and Faisal Hills has been divided into Blocks A, B, C, and D. It should be noted that while a map has been released for Block D, The block has not yet been launched. The market, improved considerably following the balloting back in April. Some development also took place in Block C around the same time. Both of these contributed to a rise in prices and brought in significant investors into the market. The market has stabilised since then and the prices that fell following the launch of Faisal Town Block C and Multi-Gardens B-17 Block G have also stabilised. Currently, varying amounts of asking premium is being demanded on different kinds of plots. For the smaller plots (5-marla, and 8-marla) the asking premium ranges from zero to about PKR 300,000. Meanwhile, the larger plots are being sold either at the launching price (plus the paid amount) or below them. if you are looking to invest in Faisal Hills, it will have to be medium-term investment. There is a good margin for profits in Faisal Hills, and once the development begins you can see rising return. It will, however, take around a year, he estimated. Faisal Residencia, attracted a significant number of genuine buyers because of the popularity of Faisal Town. However, things have been rather slow for Residencia since. Some development has been done and some ambitious plans have been announced for the project. However, as things stand, any ongoing development is very slow, because as Malik Maqsood of Suffa Friend Estate Builders explained, while a number of NOCs have been obtained, the NOC from CDA is pending. Significant development cannot take place until this approval has been obtained.